DENVER, Jan. 29, 2019 /CNW/ - Dixie Brands Inc. ("Dixie" or "the Company") (CSE: DIXI.U) (Frankfurt: 0QV), one of the cannabis industry's leading consumer packaged goods companies, has listed its shares on the Frankfurt Stock Exchange and taken other steps to increase the liquidity of its shares. Dixie's subordinate voting shares are now listed and trading on the Frankfurt Stock Exchange under the trading symbol 0QV. Operated by Deutsche Börse AG, the Frankfurt Stock Exchange (known in Germany as Frankfurter Wertpapierbörse or FWB®) is one of the world's largest trading centers for securities, and the largest of Germany's seven stock exchanges. This listing will facilitate the process of trading in Dixie shares by investors in Europe and internationally. Integral Wealth Securities Ltd. ("Integral") will provide general capital markets support services, including assisting in maintaining active, orderly traiding of Dixie's CSE-listed shares. Integral has been retained for an initial 12-month term for a monthly fee of C$6,000. Integral is a private, independent, IIROC-licensed investment dealer headquartered in Toronto. Dixie Brands Inc., through its licensed partners, has been formulating award-winning THC and CBD-infused products since 2009, and is expecting to double its manufacturing and distribution capabilities in 2019 in the U.S. as well as expand internationally, including Canada. Dixie leads the global industry in the development, packaging design, product innovation and quality control for the commercial production of cannabis infused products. While the Company started with a single flagship product, the Dixie Elixir (a THC-infused soda), it is now one of the industry's most recognized consumer brands, expanding to over 100 products across more than 15 different product categories representing the industry's finest edibles, tinctures, topicals and connoisseur grade extractions, as well as world-class CBD-infused wellness products and pet dietary supplements. Dixie's executive team has been instrumental in the formation of the marijuana industry for recreational and medicinal use, serving as founding members on several national regulatory and business-oriented industry organizations. To find out more about Dixie's innovative products, or about how Dixie is building the future of cannabis, visit www.dixiebrands.com. Certain statements in this news release may constitute "forward-looking information" and "forward-looking statements" within the meaning of applicable securities laws. 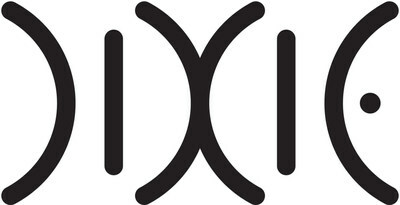 These statements involve known and unknown risks, uncertainties and other factors which may cause the actual results, performance or achievements of Dixie and its subsidiary entities or the industry in which they operate, to be materially different from any future results, performance or achievements expressed or implied by such forward looking statements. When used in this news release, such statements use words such as "may", "will", "expect", "believe", "plan" and other similar terminology. These statements reflect management's current expectations regarding future events and operating performance and speak only as of the date of this news release. These forward-looking statements involve a number of risks and uncertainties. These risk factors are discussed in detail under the heading "Risk Factors" in the listing statement filed on SEDAR. New risk factors may arise from time to time and it is not possible for management of the Company to predict all of those risk factors or the extent to which any factor or combination of factors may cause actual results, performance or achievements of the Company to be materially different from those contained in forward-looking statements. Given these risks and uncertainties, investors should not place undue reliance on forward-looking statements as a prediction of actual results. The forward-looking statements contained herein are based on certain key expectations and assumptions, including that: (i) there will be no material adverse competitive or technological change in condition of the Company's business; (ii) there will be a demand for the Company's products that the Company has accurately forecast; and (iii) there will be no material adverse change in the Company's operations, business or in any governmental regulation affecting the Company or its suppliers.